Multi-codes represent the group of services that you commonly render at the same time. 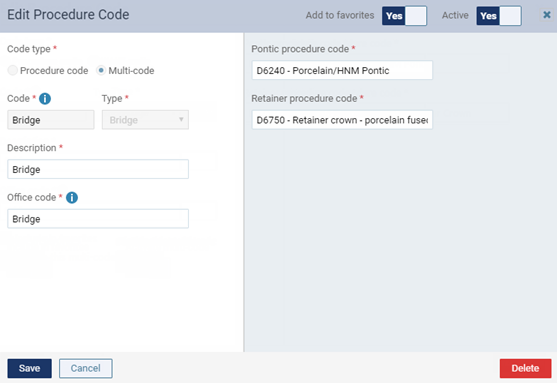 You can delete multi-codes (except those that are required by Dentrix Ascend) as needed for your locations. 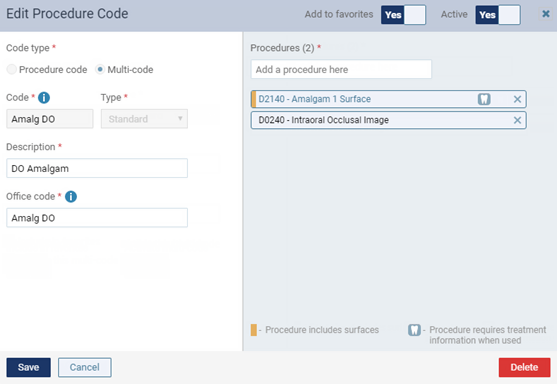 This does not affect procedures already posted to or charted in patients' records.